Add mouth watering flavor and texture to your ice cream cones with this chocolate waffle cone dip! Designed for adherence to the crispy, crunchy waffle cone itself, this dip lets you easily customize your sweet treats. 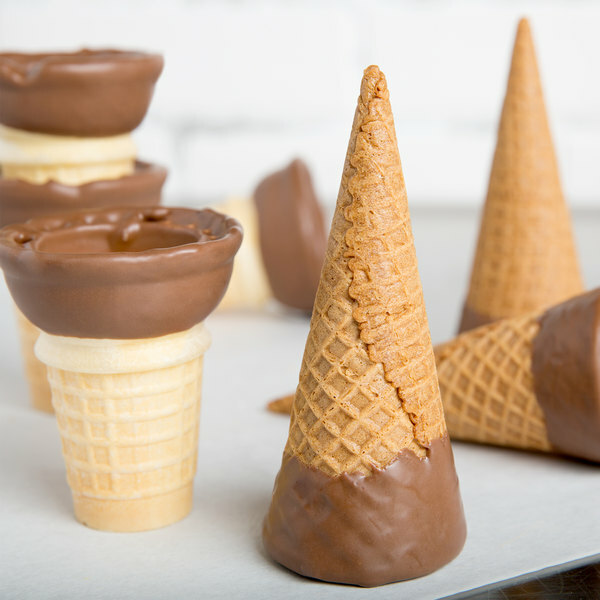 Simply heat up the coating, dip your cone, and the coating will quickly harden to create a crunchy shell. You can also drizzle the heated coating atop of the surface of any frozen dessert to enhance its appearance. This product is not ready to use right out of the can, as it needs to be heated up and stirred well. Thanks to the simple usage directions, however, you'll be ready to use it in no time. 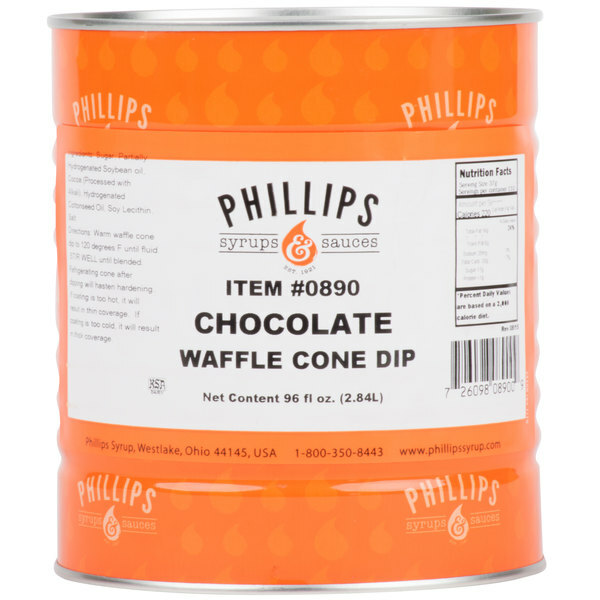 Dunk your waffle cones into this chocolate-flavored dip to enhance your ice cream parlor or restaurant's creations. 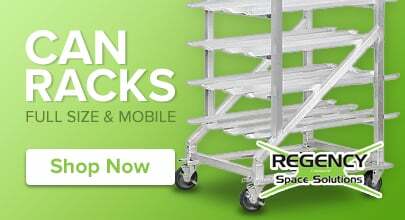 It will help make your ice cream servings even more appealing and profitable! This item is certified dairy Kosher by the Kosher Supervision of America. This waffle cone dip is yummy with no weird taste. When we received it, the contents were solid, we have to melt it in the microwave before dipping the cones in them. Then we use different toppings and place in the freezer to make sure they are firm. The only problem I have with this is the tin is big, there isn’t any cover for it once, so that once it’s open, you need to get a container to store the remaining. This chocolate waffle cone dip was ok. Could get a little runny even though we tried adjusting the temp several times. Also, didn't seem to quite firm up as desired. We appreciate your review, Alayna! If you have any questions about this cone dip, please contact our Customer Solutions team. The Chocolate waffle cone dip is a great addition to our ice cream shop. I love making gourmet looking cones that everyone goes crazy over. It is so easy to use. Our customers have made repeated suggestions for waffle cone dips, and we are so glad that we bought this stuff. It really sells well in our shops. A nice and easy way to dress up a waffle cone with this chocolate dip. The cone dip tastes really good and easy to heat up and prepare. A great way to make specialty cones for your ice cream shop.